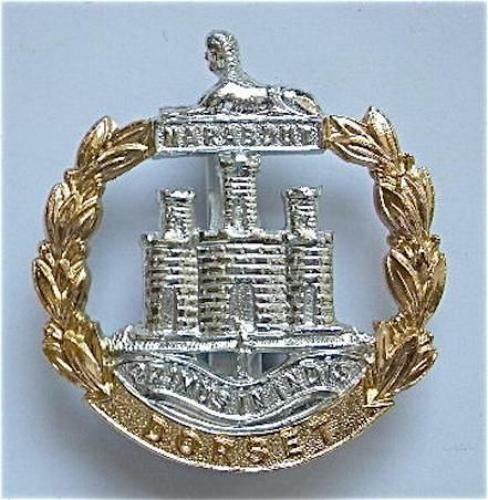 Dorset Regiment anodised cap badge circa 1953-58. A good example with makers details of J.R. Gaunt London to the slider. VGC.